When you have an app on your smartphone to help remind you of your goals, and one of them is to, ostensibly, “work” (aka, blog more), maybe it’s time for you to take a step back. Which is when I started asking myself, “Why do I need to be held accountable when it comes to blogging more regularly?” and, “Who am I accountable to?” The answers, I’ve found, are as follows: Because I arbitrarily decided that it’s something I should do, and, Me. So have I completed my 40 Things in 2013? Absolutely not, though a quick glance at the list shows that I’ve completed more than I first thought. With lists like the above, I’ve been finding new ways to actively be less engaged in all of the things going on around me. For starters, I say no now. Not to everything, but more often than usual. To things I would otherwise really, really like to attend/do but shouldn’t because, I don’t know, I should sleep or read a book or sew a stupid-looking rabbit. Simple things that have less-than-simple results. I’ve recently picked up a new hobby–sewing. 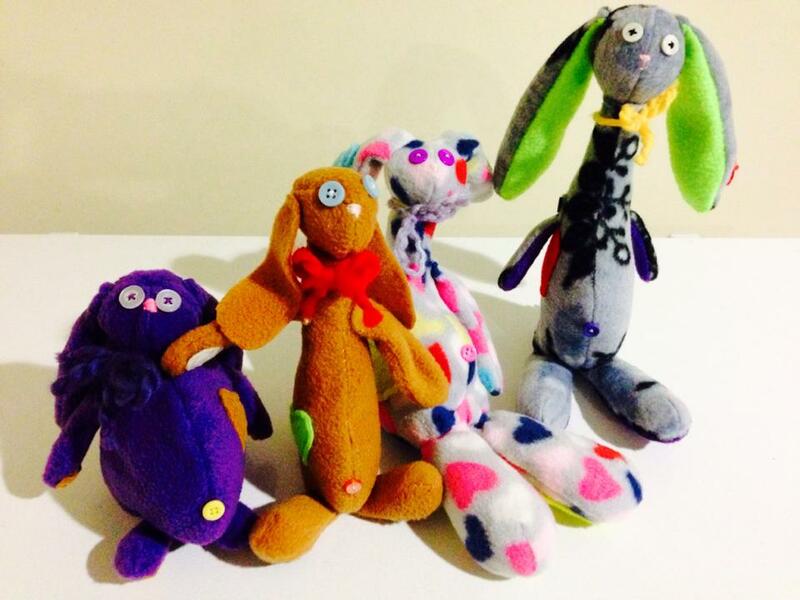 It all started with an idea to make a dopey looking rabbit (the purple one) and has ballooned from there! It’s so relaxing and a great outlet. Love it. While I was running around doing All Of The Things, people would tell me it was a choice to just scale back, to take on less, to say No more. But it didn’t seem like a choice. Not when I had myself convinced that I could and should take on everything I wanted, and even some things I didn’t want to. Now, with hindsight being 20-20 and all, I look back and wonder, In the midst of everything I was doing in 2013, why the hell did I think reading Shakespeare’s Histories was a priority? Don’t get me wrong, I think it’s great to prioritize great literature, to make time for Shakespeare. And while I didn’t read the Histories in 2013, won’t read them in 2014 nor likely in 2015 or 2016, I will read them. Someday. And right now, that’s good enough for me.